The 13th season of Zee Kannada Sa Re Ga Ma Pa has come to the conclusion with a grand finale. Top six talented contestants were selected in the grand finale. The grand finale was held on 30th July (Sunday) 2017 at 6.00 PM. All the six finalists have impressed the judges and audience with their magical voices. Sa Re Ga Ma Pa Kannada is one of the best singing reality shows and has now completed 13 successful seasons. The show helps in finding the best talented singers. There were a total of 30 contestants who have selected to the show. The selection of participants is made by conducting audition in 6 cities. Thousands of people have come for the auditions of Sa Re Ga Ma PA Kannada Season 13. 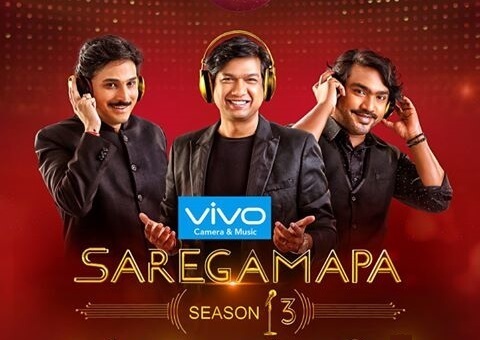 Vijay Prakash, Arjun Janya and Rajesh Krishnan are the three permanent judges of Sa Re Ga Ma Pa Kannada Season 13. The show was hosted by the popular anchor Anushree. Sa Re Ga Ma Pa Kannada show is also available for the kids which is named as Sa Re Ga Ma Pa Kannada Lil Champs. The 12th season of Sa Re Ga Ma Pa Kannada Lil Champs was won by Anvitha. The episodes of Sa Re Ga Ma Pa Kannada were aired on Saturdays and Sunday at 7.30 PM. Each episode of Sa Re Ga Ma Pa Kannada 13 is also available on Ozee.com website. Check out the complete winners and more details of Sa Re Ga Ma Pa Kannada Season 13 Grand Finale below. All over Karnataka people’s accepted urs results..
As voting is not transparent.. it’s easy for channel to say.. that winner has been selected by people through direct votes.. but it’s not true.. people are not so stupid to link talent and courtesy..
it’s really worst show.. it is not a show of talent.. but its show of courtesy…. when u want to show courtesy start charity.. that’s a better plan..